It works with 2 kinds of models: database model (created from a database schema) and DSL model (specific model designed from scratch and based on text files). Telosys provides scaffolding capabilities, it's possible to generate CRUD screens or REST backend in a few minutes. And everything is Open Source (code and templates). 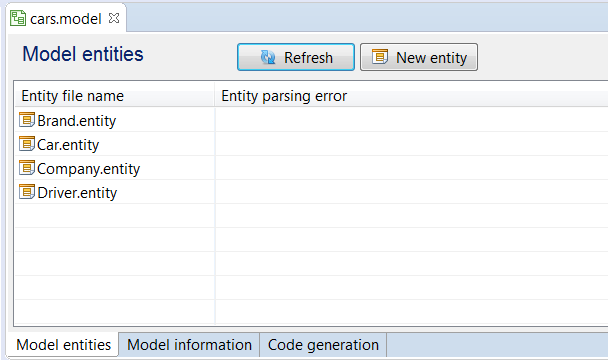 I have just installed telesys eclipse plugin. It looks great. I followed the tutorials with default db derby. 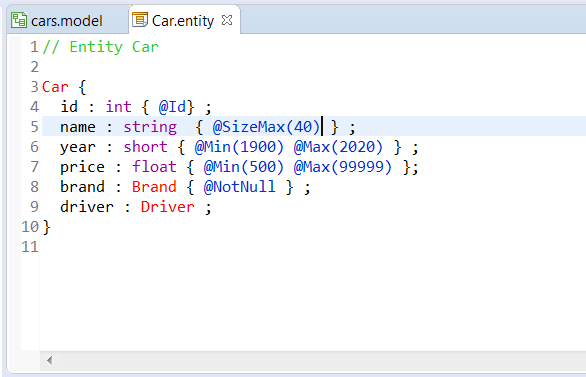 [ERROR] DriverLoader constructor : 'libraries' is void ! Message : DriverLoader constructor : 'libraries' is void ! If someone can help me I will appreciate. It's because Telosys cannot found your JDBC driver. 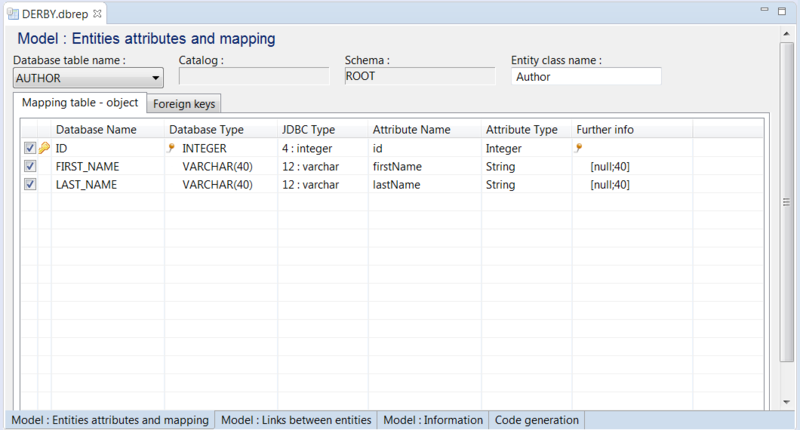 You just have to add the DB2 JDBC driver Jar in your classpath or in the "TelosysTools/lib" folder. It’s because Telosys cannot found the DB2 JDBC driver. Telosys tries to load the JDBC driver from the project classpath (if the project is a Java project) and from the “TelosysTools/lib” folder. 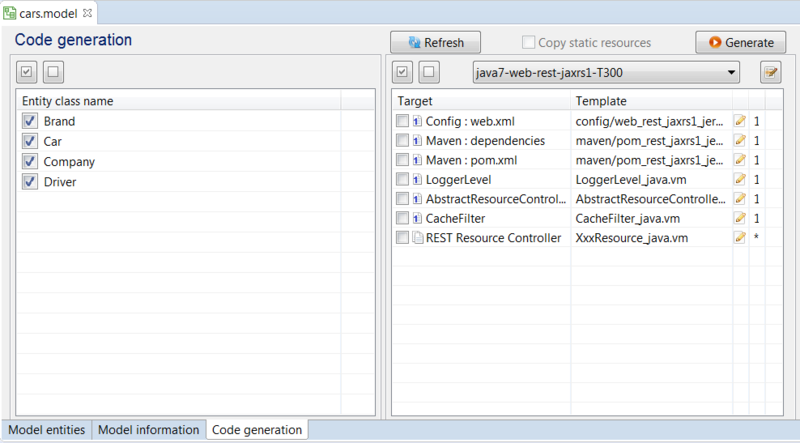 So just add it in the classpath (or in the pom.xml for a Maven project) or copy the jar file in the “lib” folder. In the “.dbcfg” editor click the button “Show libraries” to check if the jar is in the list. By the way, my telosys version is 2.1.1 and eclipse version is Neon. Telosys worked fine with derby without any problems. Then I tried the same steps with a DB2 database. At the database connection configuration step it failed, I cannot move further. Version 2.1.0 is ready ! Unfortunately, I get a SQL error when generating the repository with an Oracle Database. Exception java.sql.SQLDataException : ORA-01424 : missing or illegal character following the escape character"
=> Do you know if I can get a log with the generated SQL in order to understand where this syntax error may come from ? name = "Oracle - TelosysBookStore DB"
Unfortunately, getting metadata doesn't work for Oracle Db. Tried to use it in eclipse helios (Win 7).